Sam is a one year old Catahoula Cur. 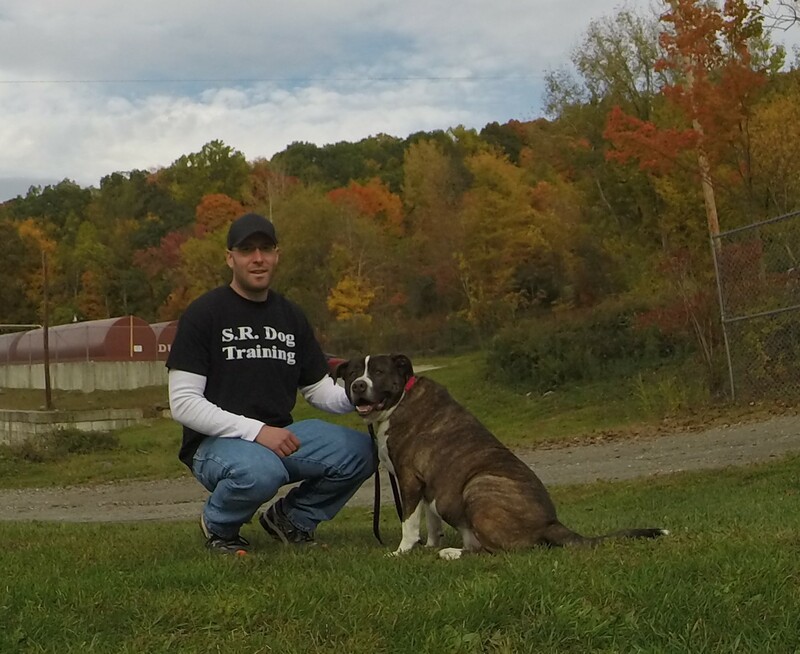 His family was in need of Dog Training Cold Spring NY, so they contacted me for my specialized in-home dog training program. Sam’s family moved from a rural neighborhood, to the middle of Cold Spring. As a result, Sam was scared of all the new sights, sounds, and experiences of living in a busier neighborhood. Sam was so afraid of this new environment, that it made it impossible for his family to take him out on a walk. He would simply shut down out of fear, not budge, and they couldn’t get him down their driveway. The first thing we needed to do was boost Sam’s confidence in himself and empower his owners with the skills and knowledge they need. In just one training session, we were able to take Sam on an hour long walk throughout the Village of Cold Spring. 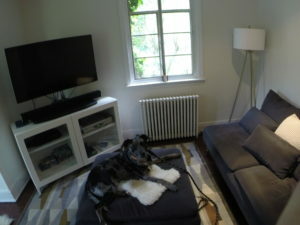 His owners were amazed by the transformation we were able to make in such a short amount of time. This is a prime example of what the right techniques and sound dog training principles can achieve. Along with solving his leash walking issues, we focused on developing reliable obedience commands. When using the right training approach, ANY dog can be trained to “Come” when called, “Stay”, and listen to their owners…regardless of distractions and even if you don’t have treats. The above picture is of Sam practicing a “Place” command for the first time. This if one of the 5 Obedience Commands to Make Your Life Easier. A well-trained dog is more confident and better behaved. This will reduce your stress, frustration, and ultimately make your life easier. “He’s doing great! He even got out by accident (my son left the door open) and he didn’t run and came right back when I called him. Thanks so much!” – Stacey D.